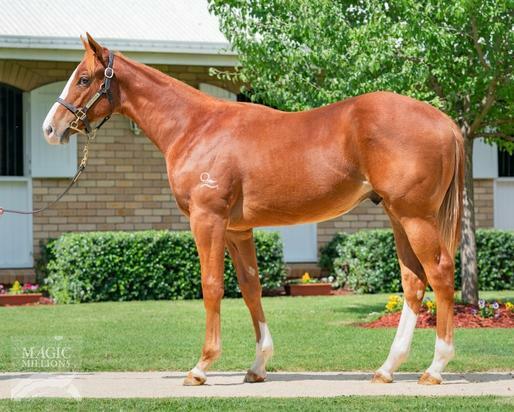 Byron purchased this really strong colt by Star Witness at the Gold Coast Magic Millions Sales for $150,000 plus GST. He is a half brother to stakes-placed All Sewn Up who Byron also trained. Star Witness is the sire of 204 winners including Group 1 winner Global Glamour. Please give Byron a call for further information on 0418 837 498.